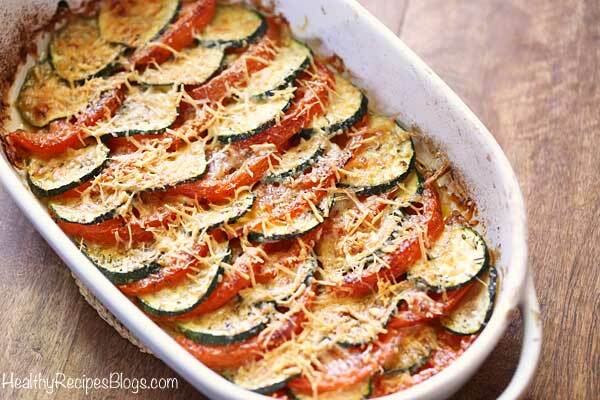 This zucchini tomato gratin is delicious, gorgeous, and fairly easy to make. It’s unlikely that you’ll have any leftovers, but if you do, leftovers are very good the next day, gently reheated or even cold. Yes, we’ll have plenty of zucchini at the Market tomorrow (8AM to Noon)! 1. Preheat oven to 400 degrees F. Spray a 1.5-quart casserole dish with olive oil. each slice in half for easier layering. 4. Generously spray the vegetables with olive oil. Sprinkle with the Parmesan. 5. Bake the gratin until golden-brown, about 30 minutes. Carefully drain the juices from the bottom and serve. Rick Bayless Shows Us How to Make Delicious, Nutritious Squash Blossom Soup! An easy, low carb zucchini noodles recipe that closely mimics the experience of eating real pasta. The cheesy, garlicky strands are unbelievably good! You can get your zucchini noodles at the Market! Just stop by Interbrook Ridge Farm’s stand, or Mallow Farm’s stand and ask for “Zasta” or “Zoodles”! Yum! those slices into thin, noodle-like strands. Don’t worry about it if your slices aren’t even. Or if you have access to one, use a spiralizer. 2. Alternatively, make your life easy and buy packaged zucchini noodles at the Atchison Farmers Market! There are at least two vendors who sell zucchini pasta (Zasta) or noodles (Zoodles). 3. Heat the butter in a large skillet over medium-high heat. When melted and foamy, add the zucchini noodles. 4. 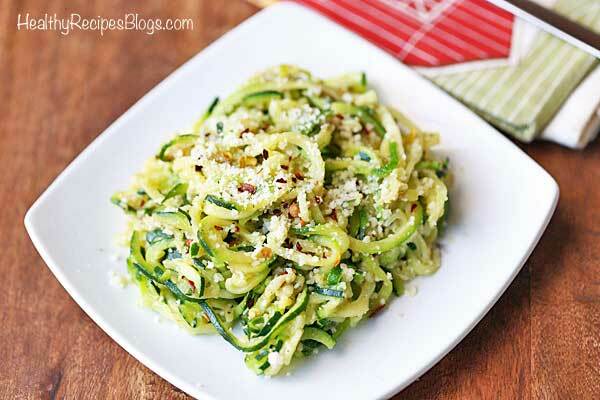 To the cooked zucchini noodles in the skillet, add the salt, pepper, pepper flakes and Parmesan. Mix and serve. Meet me at the Market to discover Atchison Farmers Market Indian-inspired culinary delights using fresh, picked at the peak of ripeness summer produce! 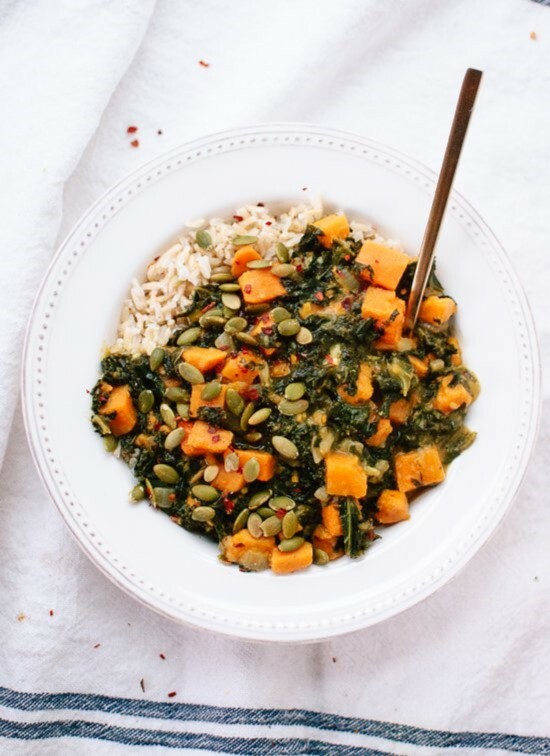 Our very own friend and customer, Sabitha Salzmann, will be our gracious guest chef to demonstrate 2 easy-to-prepare and mouth-watering sautéed vegetable curry dishes. Both dishes will be made with typical Indian herbs and other seasonings, some obtained from your friendly Atchison Farmers Market! So, invite family and friends to join you on Saturday July 7, at 9:30 AM, to get a sampling of great, other-worldly taste sensation that is Indian cuisine! Subscribe to the AFM E-Newsletter to receive the latest in your Farmers Market activities, such as this exciting Food Demo! While many summer squashes can trace their origins back to the early Americas, Zucchini squash is believed to be native to Milan, Italy. Zucchini would make its way to the United States via Italian immigrants around the time of World War I. Mention of the Zucchini can be found in American seed catalogs such as Los Angeles Germain Seed and Plant Co. where it was first listed as ”Italian squash” in 1918 then renamed in 1919 as Zucchini. The Zucchini caught on so quickly as a favorite squash of American growers and chefs that by 1920 the same catalog devoted a whole page to the now sought after Zucchini squash. Like many summer squash types when grown in mild to warm climates with ample sun exposure the Zucchini will be a highly prolific fruiter. So prolific in fact that August 8th is known as national sneak some zucchini onto your neighbor’s porch day, a nod to the overabundance of Zucchini many growers experience in the summer months. Why is Zucchini So Good For You? Zucchini contain vitamin C which is a nutrient helping protect against infections. They provide a plentiful supply of vitamins including A, C, E, and K along with minerals like zinc, magnesium, manganese, potassium, copper, and calcium. 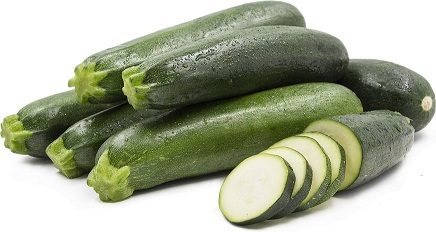 Zucchini contain amounts of potassium that helps reduce blood pressure. The magnesium also helps keep blood pressure at a normal rate and the heart a steady rhythm beat. Zucchini is good for losing weight: extremely low calories help make zucchini an ideal ingredient in any weight loss diet. The fiber content also helps burn fat. Stay hydrated: Zucchini contains 95% water content that keeps you hydrated, gives you more energy and can help reduce the occurrence of headaches. The Zucchini squash has a uniformly cylindrical shape with little to no taper from its stem to blossom end. It can be harvested when it is at its baby stage or when more mature at up to six to eight inches long. Many growers and chefs note that Zucchini will be at its peak flavor and texture when five to six inches in length. The exterior glossy skin of the Zucchini is vibrant to dark green in color and delicate enough to consume. Summer squash such as Zucchini are harvested when immature for best flavor, as a result their skin is delicate and prone to easily bruising and scratching. Its flesh is creamy white in color with a spongy yet firm texture and faint traces of edible seeds. It offers a sweet summer squash flavor with nuances of black peppercorn and nutty undertones. In addition to the fruit of the Zucchini plant the flower blossoms of Zucchini are also edible and offer a mild, squash like flavor. Zucchini squash are mild in flavor, extremely versatile and can be prepared in sweet or savory recipes. Grate Zucchini and add squash to muffin or bread batter, or use to make vegetable pancakes and fritters. Thinly sliced Zucchini works well in salads or as part of a fresh (raw) appetizer such as vegetarian carpaccio. When sliced thinly lengthwise Zucchini squash can be an excellent substitute for conventional noodles in pasta preparations. Sliced Zucchini squash can be grilled, steamed, sautéed or battered and fried. Larger more mature squashes are perfectly sized for hollowing and baking when stuffed with meats, cheeses and grains. The Zucchini blossoms additionally can be stuffed with soft cheeses and herbs then battered and fried. The flavor and texture of Zucchini will complement a variety of ingredients such as tomatoes, garlic, corn, eggplant, fresh herbs such as parsley, basil and oregano, olive oil, pine nuts, eggs, citrus juice, sausage, roasted chicken and cheeses such as ricotta, mozzarella and parmesan. Zucchini squash will keep best when kept dry and refrigerated, for one to two weeks. Calling all kids, ages 11 – 13! Learn the basics of food safety, healthy food selection and preparation at the Atchison Farmers Market’s Kids Cooking School-Session 2! Junior chefs will learn about the seasonality of food, meet local farmers and other culinary artisans, and prepare ingredients purchased fresh at the market! Each class will include food safety basics, Farmers Market product selection and preparation of snack and lunch, utensils and a chef’s hat! Each attendee will receive a copy of the fun cooking magazine ChopChop! Please click on the photo to download the application form for Kids Cooking School Session 2! Submit completed applications by Saturday, July 21, to the AFM Market Manager, Debbie Genova, during Market hours: Wednesdays 2:30-5:30 PM, or Saturdays 8:00 AM to Noon.